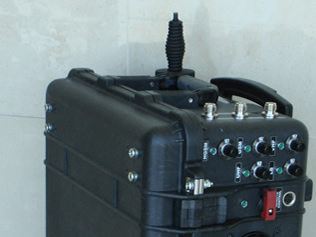 and reliable radio frequency jammers in the world. 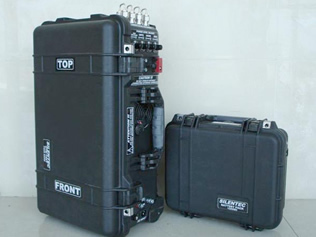 SESP offers a number of portable/tactical jammer systems, as well as the JAMPACK, a unique man-carried jammer in a back-pack package. 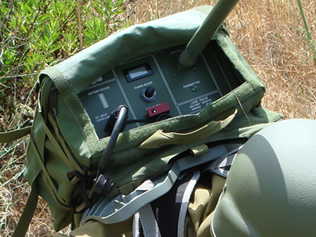 Infantry units, military security forces, SWAT teams, bomb squads, anti-terror units, anti-drug units, riot control teams, checkpoint personnel, hostage negotiators and border control agents are prime examples of the types of law enforcement personnel who benefit greatly from the deployment of SESP’s portable RF jamming solutions. 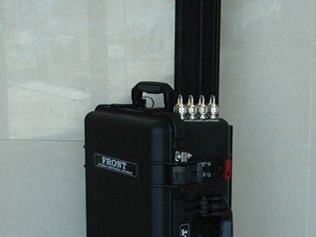 These tactical jammers are supplied in trolley-type attaché cases or a back-pack for maximum mobility, and offer a variety of power source options.